We understand that handling tax matters can be a very confusing process for many. 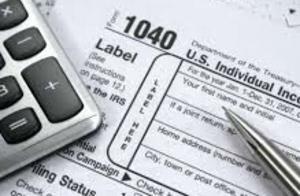 PRECISE TAXES, LLC was founded on the principles of knowledge and professionalism. Not only do we handle your tax matters in a professional manner, we get to know and educate our clients on the services that we provide to them. We believe that education is the key to success. It helps us develop a better understanding of one another, your specific service needs, and the tax laws. Whether you receive a refund or have a balance due, you should always understand why. This will help you better prepare for future tax years and also afford you the opportunity to make tax advantageous adjustments if necessary. 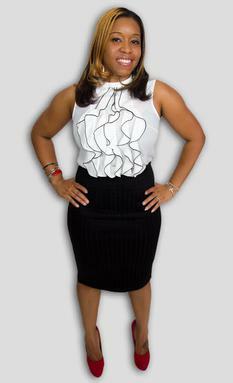 Native New Yorker, Quanda Butler is the president of Precise Taxes, LLC. Born the last of three, she is the first to graduate college in her immediate family. While attending public schools in Brooklyn, she began to excel tremendously in mathematics, and also worked as a tutor in High School to extend her advanced knowledge. Quanda always had the desire to be an attorney but decided to pursue Accounting at Livingston College in Salisbury North Carolina. In 2005 she graduated with a Bachelors of Science degree in Accounting and from there her journey began. After​ graduating from college, Quanda returned to her hometown of Brooklyn, NY. She began to hold positions such as a Tax Preparer, Bookkeeper, Accountant, Payroll Manager, and Tax Accountant. While holding those positions, She also acquired two professional licenses such as A Real Estate License and A Life Insurance License. Throughout those positions she found her passion for the ever so changing tax laws and accepted her gift of being able to simplify them for everyday people. She receives so much gratification when dealing with all types of people and knowing that she's making a difference in their lives. In 2011 she decided that she wanted to specialize in taxation and started working on her licensing to become an Enrolled Agent(EA). Ending 2012, Quanda fulfilled her knowledge requirements to apply for her Enrolled Agent(EA) license and therefore awarded. This would be her third professional license held. An Enrolled agent(EA) is a person who has earned the privilege of representing taxpayers before the IRS with unlimited rights. "ENROLLED AGENTS(EA) ARE AMERICA'S TAX EXPERTS" and they are the ONLY federally licensed tax practitioners who specialize in taxation. They go well beyond filing tax returns. ​Being an Enrolled Agent allows her to combine her love for mathematics with her "inner" Attorney. It allows her to represent her clients in front of the IRS if necessary. As an Enrolled Agent(EA), Quanda is an active member of The National Association of Enrolled Agents(NAEA). She is also an Intuit Quickbooks Proadvisor Certified in Quickbooks Online and she networks with a multitude of groups that support women based businesses and entrepreneurs. Quanda possess such qualities as detail oriented, well organized, and results driven. Quanda is married with one child and resides in Brooklyn, NY. During her personal time, she enjoys spending time with her family, cooking, and engaging in physical activities. And if that isn't enough to keep her busy, she is currently pursuing a Master's of Science Degree in Taxation.